Please fill out the quick form and submit or call us at 904-737-3434. We will respond to your request as soon as possible. Every Eagle Pool is a custom pool. The advantage to concrete construction is the ease of forming and shaping. Brian will meet with you to determine your site logistics, family pool desires, and establish a realistic budget. He will then show you your backyard creation, using the latest in 3-D design software, before we even put a shovel in the ground. To get started, take a look at our pool shapes page. We can customize any of the shapes or we can draw any kind of freeform shape you like. 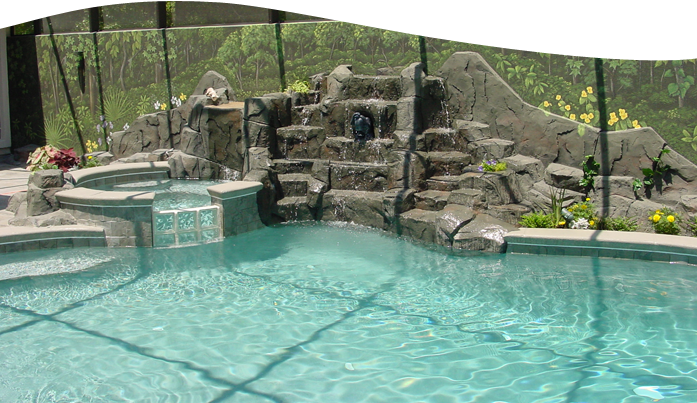 Also take a look in our photo gallery to see some of our custom pools we’ve built for previous customers. Learn more about the process for designing and building swimming pools by contacting our contractors today at (904) 737-3434 in Jacksonville, Florida.